A bad credit score – or a complete lack of any credit – might seem perilous, but here at our Hyannis, MA Nissan dealership serving Barnstable, Falmouth, Plymouth, Mashpee, and Bourne, it doesn’t have to be a huge deal. In fact, we help folks with bad or no credit all the time, so if that sounds like you, visit us today and we’ll do our best to find a loan that works for you. It stands to reason that even if you don’t have the kind of credit you think you’d need to buy a car, you still need a way to get around, and we here at our Cape Cod Nissan dealer serving Nantucket, Martha’s Vineyard, the Islands and Southeastern Massachusetts will help you to the best of our ability. Everyone should be able to drive a car that safely and reliably takes them to work, helps them pick up their kids, or simply to run errands to the grocery store. Before you explore your new Nissan or used car leasing or financing options, talk to us about your credit and we’ll see how we can help. By working with several different banks, we may be able to find the kind of car loan that you qualify for – regardless if you have zero or bad credit – and that will offer the kinds of reasonable rates you can afford on a monthly basis. Furthermore, getting started on one of these specialized car loans can help you improve your credit in the future, so you might be able to take advantage of better deals further down the road. Yes, we’ll work tirelessly to try to find a car loan that works for you, regardless of what your credit situation is. Will my credit score suffer if I buy a new car? No. As long as you regularly make payments, buying a new car on a loan will actually improve your credit score. Not necessarily. We’ll try to find you the loan that keeps rates reasonable and as low as possible. This happens because we work with several banks and credit unions, which provide more opportunities to find competitive rates. Absolutely, and if credit and your budget is a concern, we recommend you look through our used car lineup for the best deals available. Can I use a trade-in as a down payment? Yes, depending on the value of your trade-in, your down payment will either be covered in full, or partially. You may still need to cover the difference, depending on what you’re buying. Can I get pre-approved if I’ve never had credit before? Yes, a huge part of this program is helping first-time buyers not only qualify for a loan, but to help them establish a source of credit, which will make car shopping much easier in the future. That really depends on the specific vehicle you purchase and the loan you qualify for, but you can use this payment calculator to estimate. 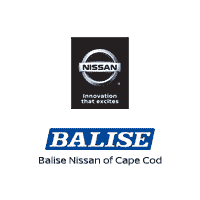 There’s a lot here to cover, so the best advice we can offer any driver is to head over to Balise Nissan of Cape Cod today and we’ll get you started when it comes to shopping for a car with bad or no credit.